Specialist Meric Greenbaum works at his post on the floor of the New York Stock Exchange, Friday, Aug. 28, 2015. 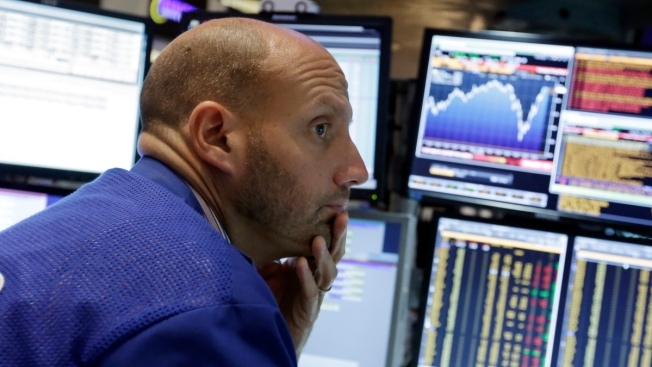 U.S. stocks plummeted Tuesday as continued signs of weakness in China and concerns about the Federal Reserve weighed heavily on investor sentiment, CNBC reported. The major averages ended in correction territory, down nearly 3 percent after a failed attempt in the minutes prior to cut some losses. The Dow Jones industrial average closed about 470 points lower, off session after falling as much as 548 points. The Nasdaq composite wiped out gains for 2015, joining the other averages in the red for the year so far. "Today is just a continuation of last night's sentiment, plain and simple. Concerns continue to erupt about China's economy and the growth decline in energy and WTI today," said Ryan Larson, head of equity trading at RBC Global Asset Management (U.S.).